This is a spare wheel for your CMX based truck. It is completely identical with the rest of stock wheel. 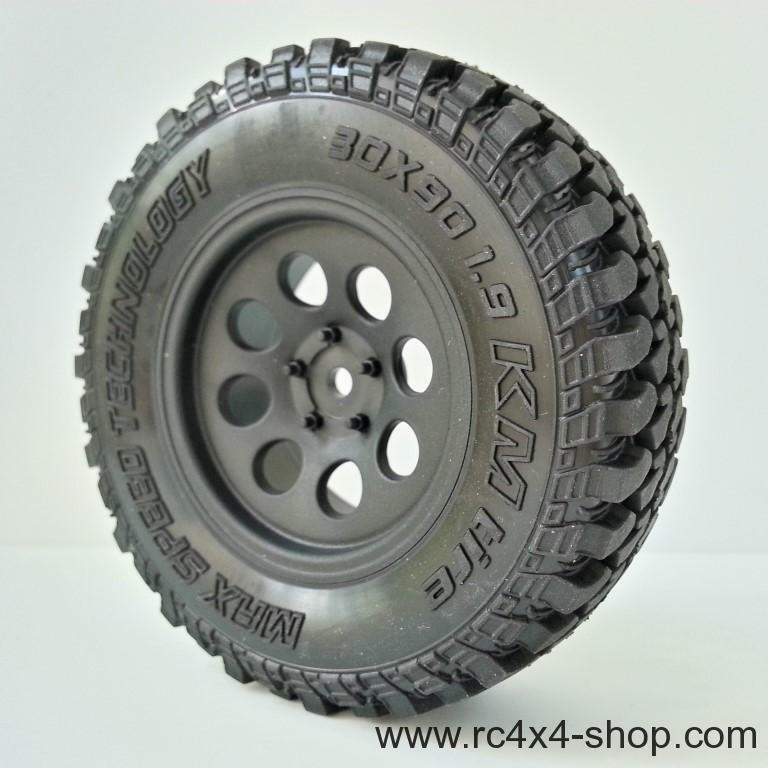 Inlcluded: 1pc of KM Crawler Tire 1.9 (101034), 1pc of stock inner foam and 1 pc of rim (230031BKF).